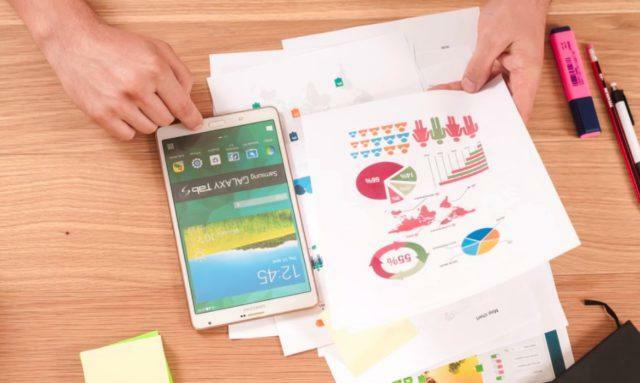 Scanners and printers are common in most households and offices, but you don’t necessarily need to have bulky scanners. If you do not have access to a scanner, you can use your phone to scan documents. 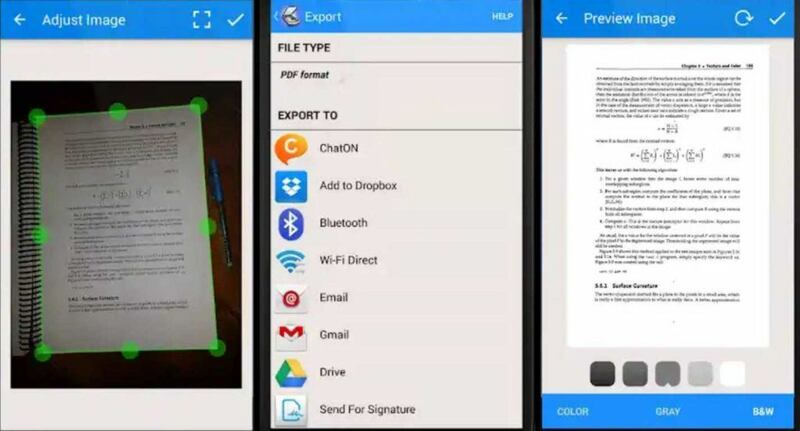 As most smartphones pack a good camera nowadays, you can scan documents in high quality. Moreover, scanning with your phone can be a faster process than using a desktop scanner. 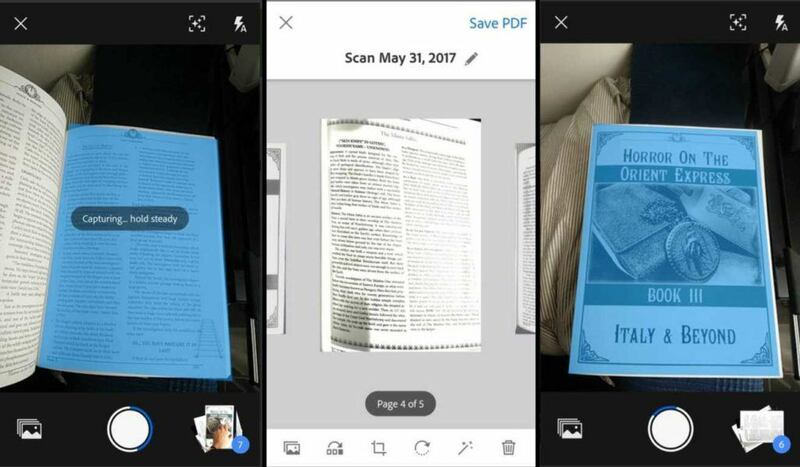 Additionally, Android scanner apps let you access documents from the cloud, have powerful editing features, and some even come with OCR(Optical Character Recognition) support. We have compiled a list to help you find the best scanner app. Note: This compilation isn’t in order of preference. 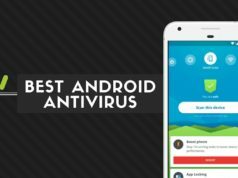 Users are advised to choose any app that they find best on this list. Clear Scanner for Android that allows you to scan any documents or images directly from your phone. You can convert your scanned documents and images to PDF or JPEG format. This excellent scanner app is lightweight and provides fast processing. You can print the scanned documents or pictures by using Cloud Print. It offers various professional editing features even after saving the images to the gallery. Moreover, you can save multiple pages within one document, reorder pages, set page sizes for PDF, etc. It has cloud support for Google Drive, OneDrive, and Dropbox. 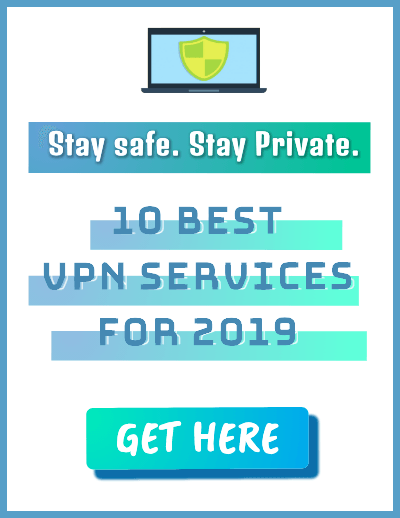 It is free to download and contains ads. Why should I install Clear Scanner? It is lightweight compared to other scanner applications. Adobe Scan allows you to scan any notes, forms, documents, receipts, and images to PDF files. It is simple and effective to use. 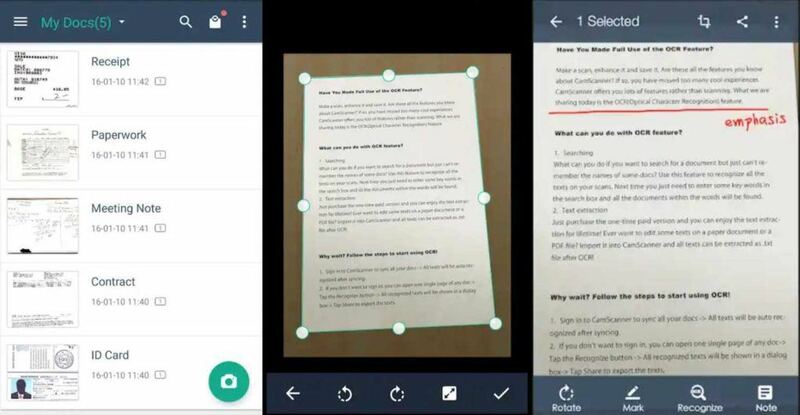 Once you point your phone’s camera to the document you want to scan, the app will automatically recognize and scan it. It even permits you to reorder the pages as needed and you can also color-correct any of the pages. Moreover, there is built-in OCR that lets you reuse scanned content. You can also scan multiple pages into a single PDF file. 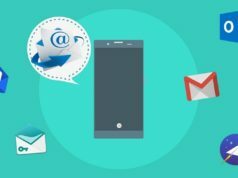 The app allows you to send your scanned files via email or back them up to the cloud if you want. Overall, the app covers almost all the essential features. Adobe scan is free with no ads. Why should I install Adobe Scan? Supports multiple pages scanning into a single file. CamScanner is one of the best scanner apps for Android with over a 100 million downloads. You can scan receipts, notes, images, invoices, business cards, or any other documents and export them to PDF or JPEG format. Once you save your scanned documents, you can tag them, store them in folders, and even share them via social media. It also allows you to print documents by using cloud printing or fax them with a nominal fee. Moreover, you can secure your important documents by setting a passcode for viewing the files. The app is ad-supported and includes in-app purchases for accessing advanced features. Why should I install CamScanner? Easy to use and includes all the essential features. Support for Cloud Storage services. You can set a passcode to secure your important files. 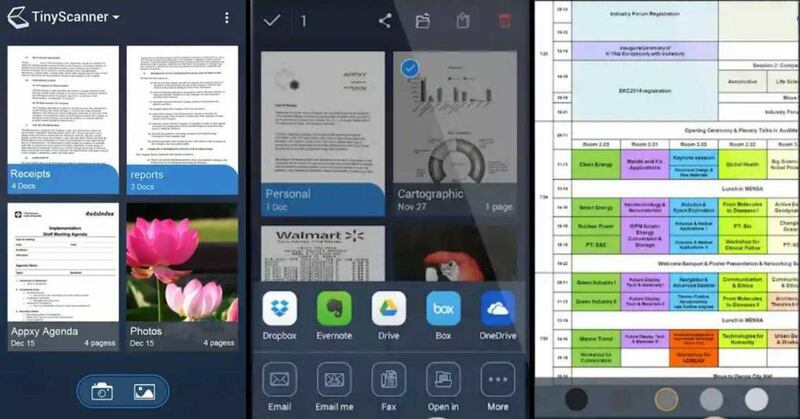 Tiny Scanner is a solid document scanning app for Android that delivers most of the standard features. The app doesn’t require any login before use so you can get started right away. You can scan documents, receipts, reports, or any other files and save them in PDF format for future use. It has support for most of the significant cloud storage services and also allows you to print your necessary files within minutes. Moreover, it has auto edge detection that can help prevent distortion by straightening out the images. The app features five levels of contrast, a quick search by document title, has passcode protection for important files, etc. Tiny Scanner is ad-supported and has in-app purchases. Why should I install Tiny Scanner? It is optimized to work fast. You can scan in color, grayscale, or black & white. Support for cloud services like Dropbox, Evernote, Google Drive, etc. 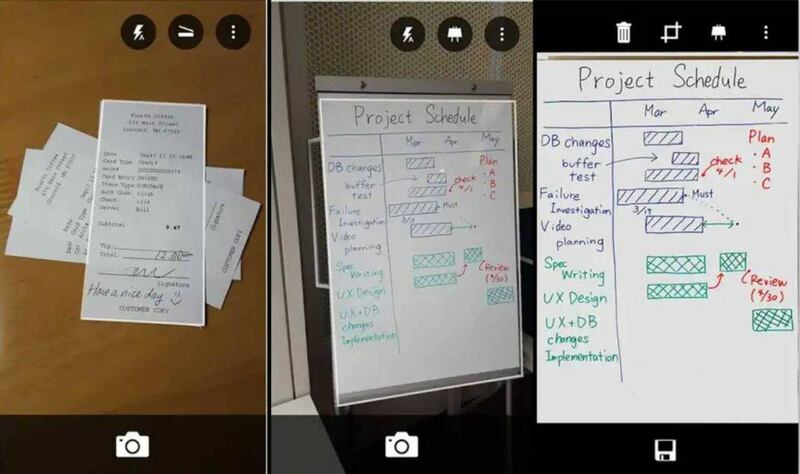 Office Lens is a scanner application developed by Microsoft for scanning documents and whiteboard images. It can quickly scan any document and convert images to PDF, Word, or PowerPoint files. It also allows you save your files to OneNote, OneDrive, or to your local storage. The app is relevant for both business and school purposes. Apart from English, it also works in German, Spanish, and Simplified Chinese. The app is ad-free and does not contain any in-app purchases. Why should I install Office Lens? It is productive for both school and business purposes. 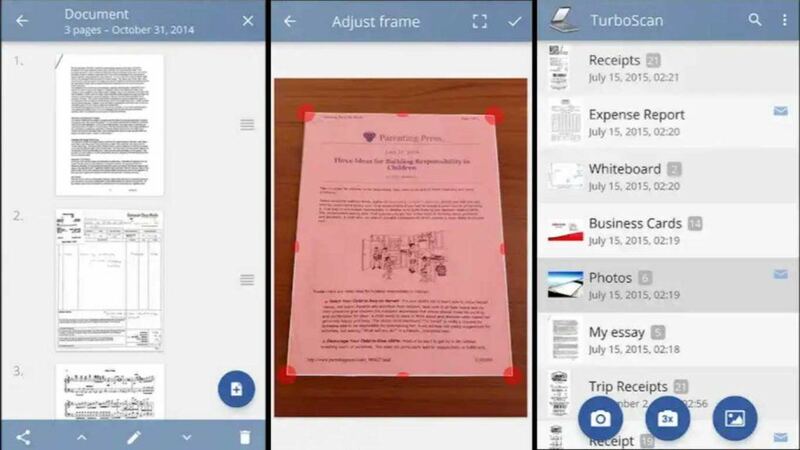 TurboScan is a powerful and full-featured Android scanner app that has both free as well as a paid version. It allows you to scan and share multipage documents in high-quality PDFs or JPEGs. It features a “SureScan” mode for very sharp scans, includes multipage editing features such as page adding, reordering, and deleting. 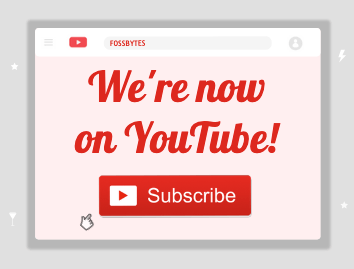 Also, you can arrange multiple receipts or business cards on a single PDF page. 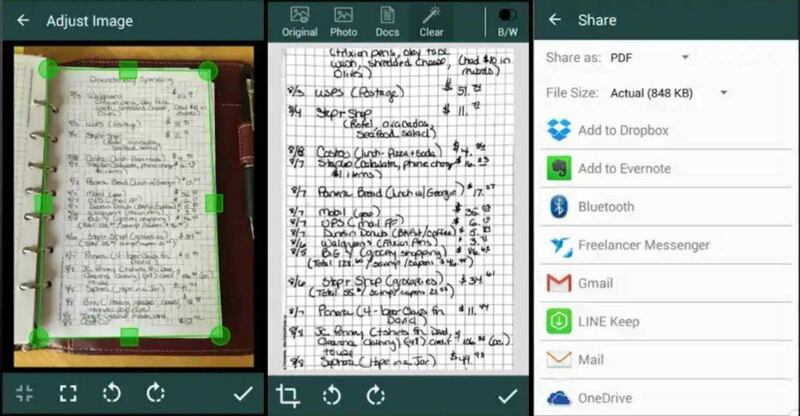 You can open PDFs or JPEGs in other apps like Dropbox, Evernote, Google Drive, etc. or print your necessary documents by using Cloud Print. Turbo Scan is ad-free and offers in-app purchases. Why should I install TurboScan? It is lightweight and includes almost all the necessary features. Smart Doc Scanner covers many essential features for document scanning. It has support for OCR to convert from images to text in more than 40 languages and also includes spelling check. You can set page size, enable the batch-scanning mode for multi-page documents, crop and zoom features to scan pages in a better way, etc. It supports almost all the popular image formats such as JPEG, PNG, BMP, GIP, and WebP. It is also integrated with Dropbox, Google Drive, and other cloud storage options. The app doesn’t display apps and offers in-app purchases. Why should I install Smart Doc Scanner? Fast Scanner is another reliable document scanning app that features most of the typical functions. It allows you to scan any document, export them to PDF or JPEG format, add multiple edits to scanned documents, etc. You can also add new pages or delete existing pages within the file. Moreover, you can print your documents using Cloud Print. The app is free to download and contains ads. Why should I install Fast Scanner? It is optimized to run fast. 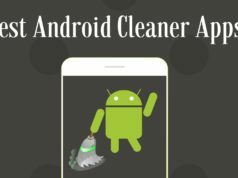 Did this article help you to find the best Android scanner app? 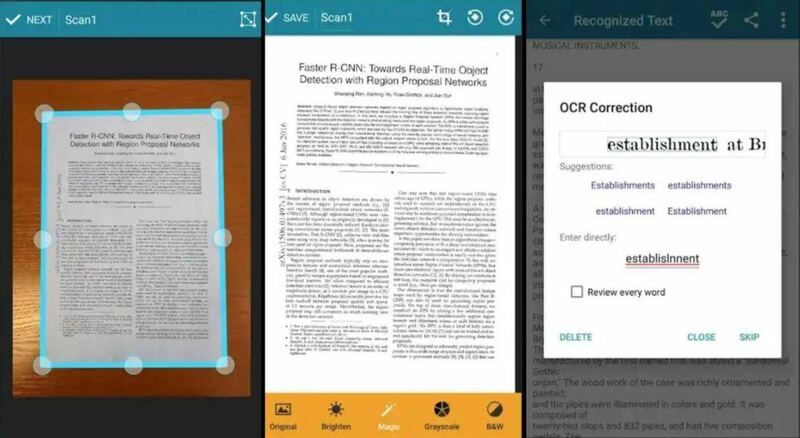 Which document scanning app do you use? Share your valuable reviews in the comments below.